With the publication of ISO 22000 for food safety management, a new tool has been added to the food safety portfolio. Oliver Cann investigates its role and the prospects for success. Concerns over food safety have been front-page news in recent years, from mad cow disease to E.coli outbreaks, from the debate over Genetically Modified foods to Sudan red dyes. In response to these concerns, the food industry is active in trying to find solutions which improve food safety. 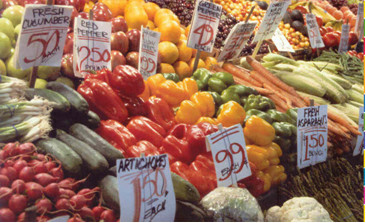 Existing food safety verification tools include the Dutch HACCP (Hazard Analysis Critical Control Points) Code, the British Retail Consortium (BRC) Global Food Standard, the International Food Standard (IFS), the Safe Quality Food (SQF) protocol and the Euro-Retailer Produce Working Group Good Agricultural Practices (EurepGAP) standard. All are actively used to help food retailers manage their supply chains and each standard supplies solutions in their respective markets. Published in September 2005, ISO 22000 food safety management systems – requirements for any organization in the food chain, is the new kid on the food block. The product of an ongoing collaboration between the International Organization for Standardization (ISO) and the food industry, it aims to be an international, auditable standard defining food safety management along the entire food chain – “to ensure that there are no weak links”, as the ISO website explains [see box out below]. The intention is that ISO 22000 will sit alongside the other existing food safety schemes and complement them by bringing a common language and understanding of how food safety should be managed all along the food chain. “The kernel of the ISO 22000 idea was to have a HACCP-type standard, with a basis of ISO 9001:2000 – in other words, to [build on] existing systems and shape them into a clear, understandable, auditable structure for the food and drink industry,” says Sarah Davies of Geest, the leading fresh prepared foods and produce company in the UK and a major international player. Davies chaired the UK drafting committee on ISO 22000. While ISO 22000’s main difference from other standards lies in its scope and international applicability, it also differs from standards such as BRC and IFS, in that it does not offer a prescriptive list of requirements for good practice. Instead, in acknowledgement of the fact that it would be impossible to name all requirements for all types of food businesses, it puts the onus on the food company to define the best practice that is most relevant to it. The working group that developed the standard involved members from 14 different countries and representatives from a number of other organizations, including Codex Alimentarius and the Confederation of the Food and Drink Industry of the European Union (CIAA). Given the global nature of the food industry, it was important that ISO 22000 be developed with international and cross-industry consensus. According to Davies, this approach represents the standard’s greatest strength. One of the benefits of running ISO 22000 is that it offers synergies to companies who have already implemented other ISO management systems. For example, ISO 22000 uses the same systematic approach as ISO 9001 and the ISO 14001 Environmental Management System standard, making it easy to incorporate it into an integrated risk-based management system. For Denise Graham of Tetley, one of the companies chosen to run ISO 22000 as a pilot study, its value as a business tool was fundamental to their decision to deploy it. “Tea bags are one of the lowest risk food products: they’re long lasting, dry, contained in paper and they’re not ingested. While we currently have a HACCP system in place, it’s not verified independently as we felt the existing standards, such as BRC, were aimed at higher risk food products. “However, we’ve implemented other ISO standards – including ISO 9000 Quality Management System, 14001 Environmental Management System and now ISO 18001 Occupational Health and Safety Series – and we considered it important that food safety was managed using our current approach to managing our business, so that it could be integrated into our other systems. “We were able to integrate ISO 22000 much more easily into our policy and systems. Our people are used to working with BRC and ISO standards. If they weren’t, it might have been more difficult for us.” Tetley plans to migrate to ISO 22000 later in the year, and is currently in the process of recruiting a new quality manager to manage this project. Implementation is a key issue for any firm seeking to roll out a new quality standard, and ISO 22000 is no exception. Although Graham admits that Tetley’s own adoption of the standard in draft format was made much easier by the fact that she and her staff were familiar with both ISO and other food-related standards, she says that compliance costs should not necessarily prohibit smaller companies. “The whole implementation process lasted six to eight months, which was reasonable. It would have taken less time but we decided to link it in with a communications and marketing campaign involving all our 600 employees. Good international heritage and a broad bedrock of support in the drafting stage are both important selling points for ISO 22000, but for Richard Jones, health, safety and environment manager at Kellogg’s Manchester (UK) plant, ISO 22000’s success will depend on its take up across the food industry. “ISO 22000 changed its emphasis during drafting,” he says. “There were subtle changes that were made to the format of the document, and of its position within the array of food management and safety-related standards already out there. Initially it was positioned as a 9000 equivalent for the food industry but the emphasis changed by the time it got to final revision to becoming a global HACCP standard. “This may be right for the UK – with standards such as BRC already in place, the perceived need for 9000 had been receding recently, for right or wrong reasons. Although it is still seen as an essential part of due diligence in other places such as the Benelux, it was clear that a customer-specific standard had become the primary need for some manufacturers. Jones adds: “The food sector is a very dynamic and proactive international industry: it is important that retail procurers and companies ask themselves whether the standard is relevant not just for customer and consumer protection but also as a mechanism for putting all our food management safety practices in place. “All standards are released as an initial revision and are always a compromise as they have to balance the interests of European and global members. ISO 22000 will get revised, but as a first standard, it’s very good. “One of its other strengths is that, in its support of HACCP, it has duly tackled pre-requisite programmes and brings clarity and definition to them. “At Kellogg’s, our standards are shaped by top-down corporate initiatives as well as recognition of UK and European compliance, best practice and market drivers. We recognize the ISO 22000 as a significant HACCP standard, which may be appropriate for some markets. Kellogg’s Manchester plant was the first manufacturer in the world to gain certification to the BRC global food standard (issue 4). Strategically, we are always looking to strengthen our due diligence and best practice. If you already have a food safety management system in place, then migrating to ISO 22000 shouldn’t be a drain on time and money, and could give you the competitive edge, or so Wales-based food packaging manufacturer Bemis found when they carried out a two-day pilot with BSI in August. Davies expresses similar cautious optimism that ISO 22000 will gain the same recognition as its ISO stable mates in the pantheon of industrial standards. It will need time and probably some follow-up work to bed itself in. ISO 22000 does specify food safety system requirements, though it does not set out prescriptive “good practices”. And as Davies points out, “there is no way on earth that you could do this, as the document would have to be huge – and this is one concern from retailers. But other [national and industry] standards can be used within its context and more documentation is likely to follow. Originally working as a process engineer and auditor in the automotive industry I was challenged with setting up food safety and hygiene GMP systems within the cosmetics/baby products/ medical devices and food/ food packaging industries at several high profile manufacturers. The statistical process control and lean manufacturing systems renowned in the automotive industry are now part of many food related businesses. Implementing FMEA concepts and traditional hazard analysis can result in working HACCP and prerequisite plans. I have worked in the food and food packaging industries for the last 10 years and Joined BSI three years ago as an auditor for ISO9001 and food safety schemes such as BRC. My current role of product manager has involved the development of BSI food safety schemes in the UK including BRC global food, BRC/IoP Global Packaging, BRC Global Consumer Products and ISO22000. Development of training courses for the industry specific requirements, such as non food HACCP courses for packaging and consumer goods industries have also been much sought after. If you require any information on seminars on ISO22000 taking place soon please contact me directly. ISO 22000 The auditable standard for Food Safety Management Systems which sets out requirements for any organisation in the food chain was released by the International standards organisation on the 1st September 2005 and was adopted in the UK as the national standard for food safety on the 8th September published as BSEN ISO 22000:2005. In the UK from January 2006 hygiene regulations will require food businesses to have a HACCP system and ISO 22000 is the vehicle to demonstrate such a system is in place. ISO 22000 is not a replacement or substitute for ISO 9001. It meets a different need but does align to and can be integrated into ISO 9001 management systems. It fills the gap between meeting direct customer requirements and satisfaction (ISO 9001) and ultimate consumer and end user requirements necessary to ensure food is safe at the time of human consumption (ISO 22000).